The first winter beer that I ever put my lips to was Samuel Adams’ hefty winter brew “Old Fezziwig Ale.” I think I was around 21 at the time, and to my uncultured beer-palate, the Boston-based brewery’s Christmas concoction was like getting punched in the mouth by a beer-soaked Christmas cookie. My friend Jon and I – who had purchased the brew as part of a Sam Adams winter 12-pack – both agreed that it was the worst beer that each of us had ever tasted. Looking back, I’m not surprised that we didn’t like the brew considering we both unusually defaulted to Labatt Blue, and I (shamefully) had a thing for Bud Light in aluminum bottles. We had no taste. There. I said it. Needless to say, we both tend to avoid winter warmers as a result of this early experience. Thankfully, our tastes in beer have matured significantly since then, and I’ve come to appreciate a good spiced beer though – admittedly – I don’t seek them out, as the memory of that first hit of Fezz still tends to linger. 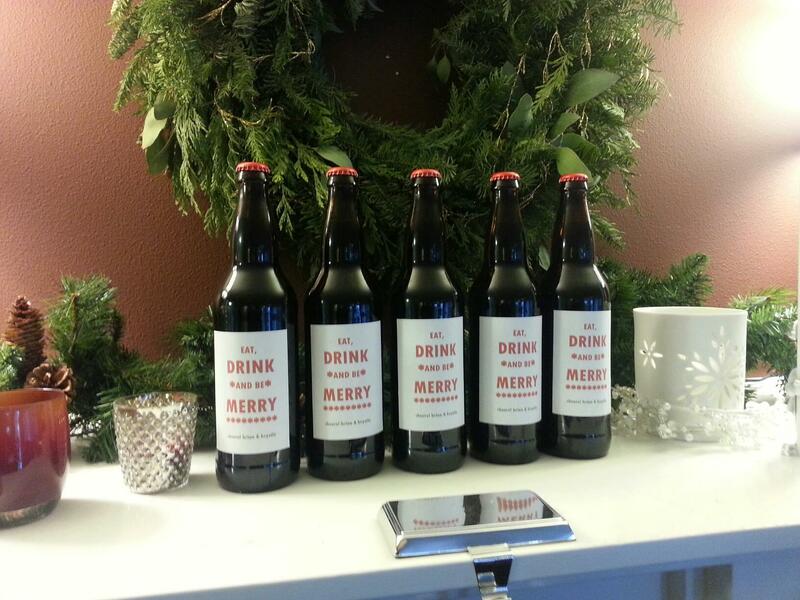 It was for this reason that I felt a slight tinge of apprehension when my wife asked if I wanted to make a holiday beer to hand out to friends and family for this past Christmas season. Don’t get me wrong, I love brewing, and her proposal lent a certain validity to the results of my relatively newly-acquired hobby, but there’s a difference between giving beer to your drunk friends when they’re over for the evening, and openly distributing it to your colleagues. 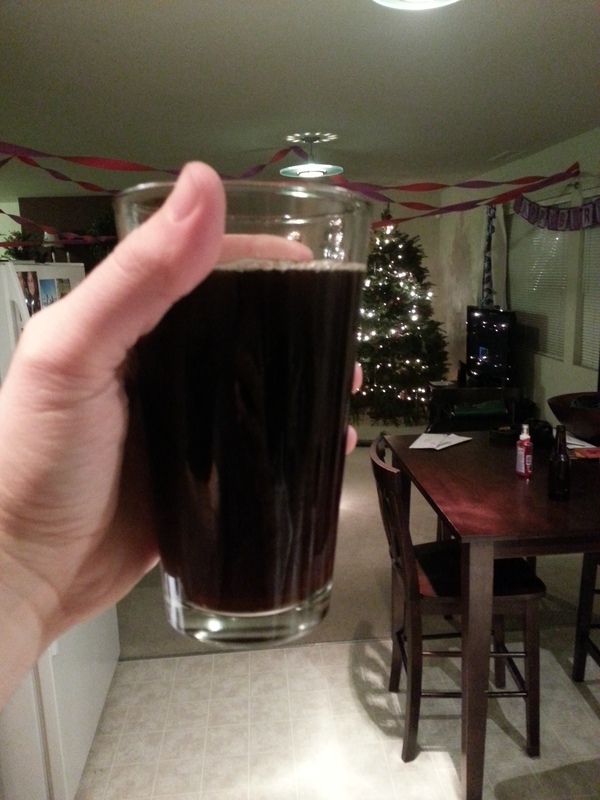 I brewed on October 27th, racked on November 5th, and bottled on November 12th. The final brew has a nice spiced aroma that complements, but in no way overwhelms, the smooth and light malty mouthfeel and noticeable hoppyness of the brew. The one complaint that I had was the surprising lightness of the beer (success) when held against the expectation of it being a winter warmer. Were I to make it heavier, additional malt (perhaps 2 lbs of amber or dark) would round it out nicely. My wife designed the labels, and we handed them out to work colleagues (although that’s hard to do when you’re a highschool teacher) and friends.